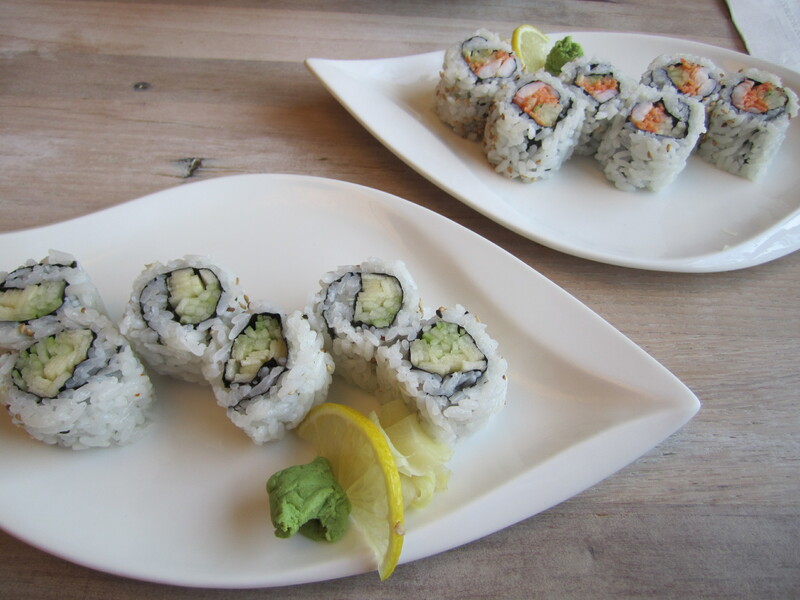 Hinari Sushi is a great restaurant that serves up fresh and tasty Japanese and Korean meals on the regular. Since it’s only few doors away from another one of my favorite lunch spots, I have been to this casual eatery so many times that I’ve had the opportunity to sample quite a bit of their menu. With a practically endless menu of hand rolls, sushi, and sashimi, plus other great non-seafood entrees, you can try out something new every time you go. Check out my top picks from this delicious restaurant! Alright, what are you waiting for? Check out the eats! : Entree: Spicy Vegetable Ramen with egg. As delicious as the hearty soups are, what would Hinari Sushi be without the sushi? If you go for a weekday lunch special, you can pick 2 rolls with a cup of miso soup. All the rest of the time, you should try out the adventurous selection of adorably named specialty creations. Top: Tuna Roll, Spicy Tuna Roll. 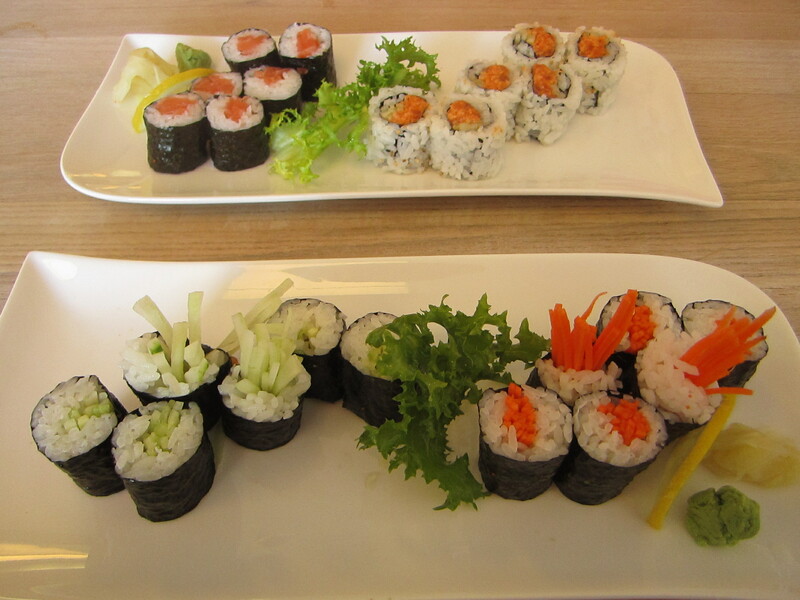 Bottom: Cucumber Roll, Carrot Roll. The menu will tell you precisely what will be on the inside and outside of your rolls, but I have yet to uncover why tuna rolls have seaweed on the outside of the rice when spicy tuna gives you the opposite! Maybe it’s a warning for the bit of heat you get with the spicier version. For an extra kick in your classic cucumber rolls, try out the ones with green apple in them too! The bittersweet juiciness and softer crunch really gives the rolls an unexpected burst of flavor. If you go, Hinari Sushi is located at 275 Morris Avenue, Springfield, NJ. The restaurant is closed from 3-4pm in between lunch and dinner. ← Workout Gear: Take pride in your appearance.